It is that time of year again when the kids go back to school. There are children who will go back to school without the supplies they need. Thanks to Aldi and my site there will be less of those children without necessary supplies. This is the run down of our Giving Backpack event. We partnered with Aldi this year to help children. Aldi offers school supplies and they also offer healthy lunch and snack options which will help the students in life. If you want to see if school supplies are available in your area check out their Aldi special buys list. 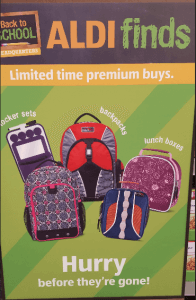 **Note: ALDI will begin selling back-to-school items the week of 7/29 and will feature additional BTS items the week of 8/Aldi Post instructions5 and the week of 8/12. We will need to post between 7/29- 8/12. *Available while quantities last. Items may not be available in all stores. Prices and labels may vary by location. I was provided with $25 from Aldi to help those children in my area. This is what I decided to do. I got these children new backpacks and a lunch bag. I also got them a couple of pens and pencil and flash cards. Then I picked up some healthy snack options. I couldn’t help myself and I purchased the jump ropes for the playground out of my own funds. I believe education, nutrition, and playing are the ingredients necessary for academic growth. Aldi has so many healthy options and truly they are very inexpensive when I do comparison shopping. I am so thankful Aldi decided to help by encouraging others to #GivingBackPacks and #ALDIgivesback to see what our friends have donated in the spirit of giving why not give it a try. Hi! I am Amee, owner of Madame Deals, INC. 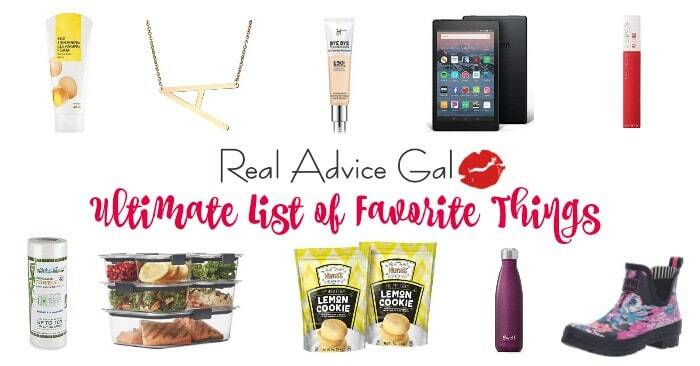 I am your Real Advice Gal. I am also a mother, wife, and former teacher. I truly believe we each have the ability to pay it forward. I know that if you see a problem you can either complain or be part of the solution. When I taught school I noticed some students didn’t have supplies. I understand why the lists are often long and expensive and a lot of people simply can’t afford the supplies. I decided that I could help make a change. I became a blogger to teach on a bigger forum. I became a blogger to inspire others. I decided that as bloggers we have a duty to use our influence to help others. That is really how this “giving back packs” to kids idea started. I am was really excited this year to take my kids out shopping. I think it is important to teach your children through example. One of the greatest gifts I believe I can give my children is a big heart. You can also follow Aldi on social media by clicking on those links. You will be glad you did! 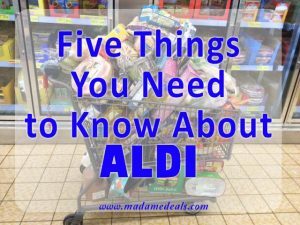 Read what I learned about Aldi when I went to the headquarters in my post Aldi’s five things you need to know.